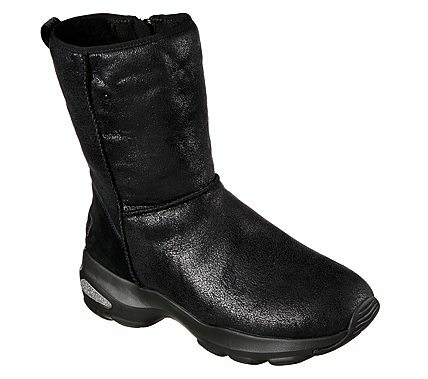 Sleek sporty style and warm comfy style combine beautifully in the SKECHERS D'Lites Ultra - Temp boot. Soft suede-textured distressed metallic finish microfiber fabric upper in a zip up mid calf height casual cool weather boot with stitching and overlay accents. Faux fur lining, Warm Tech Memory Foam insole.